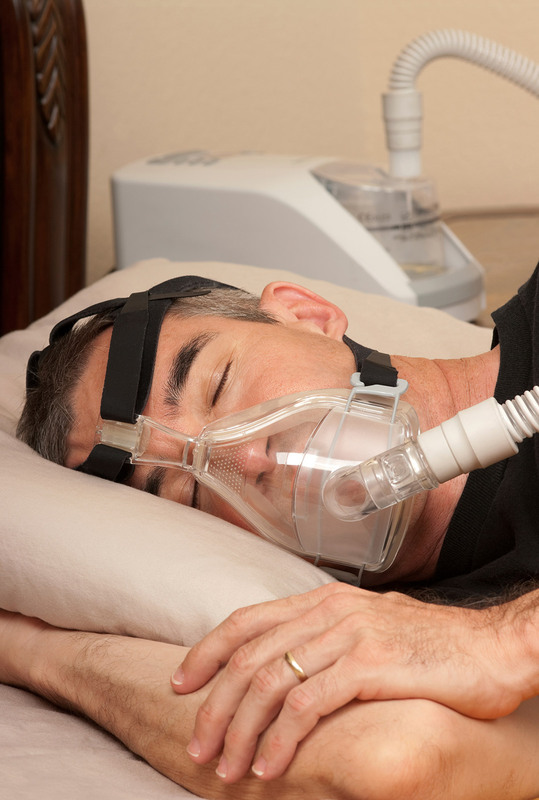 Sleep apnea is a disorder in which breathing is interrupted periodically throughout the night. These pauses, or gaps, in breathing may be accompanied by choking or gasping but rarely awaken the sleeping individual. An estimated 18 million Americans suffer from sleep apnea, many of them unaware of their condition. Obstructive sleep apnea occurs when the throat muscles relax and droop during sleep, blocking the airway and causing breathing difficulty. It is by far the most common form of the disorder. Central sleep apnea is the result of the brain failing to properly control breathing during sleep; this is rare. You may experience frequent morning headaches and sore throats and wake up with a dry mouth.